We stock a wide range of kids wellies from all the leading brands including Hunter Kids, Junior Joules, Baby Bogs, Bogs Kids and Chipmunks, to name just a few of the most popular. 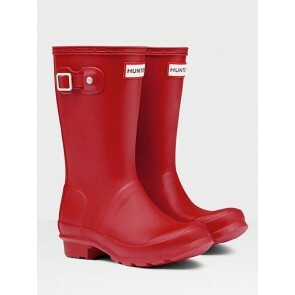 We have wellies to suit even the smallest feet, offering baby and toddler wellies from size infant 3, junior children's wellies, older kids wellies, and teenage sizes too. With a price point to suit every pocket we're sure you'll find exactly what you're looking for here. Dinosaur themed wellies - full of character. These are sure to be a hit with your little ones. These fox design wellies are full of character, and feature easy on pull handles and a fleece lining to keep little feet warm and dry when splashing in puddles. Adorable little girls' wellies with a 3D unicorn design. Constructed in durable rubber with easy on pull handles and lined with fleece to keep little feet warm and dry when splashing in puddles. Adorable little girls' wellies with a 3D deer design. Constructed in durable rubber with easy on pull handles and lined with fleece to keep little feet warm and dry when splashing in puddles. Bright kids violet wellington's, perfect for those little explorers in your life. Cute cloud printed wellies, perfect for Spring Summer. Quirky shark print wellies with easy on/easy off handles.